Joe Nemechek picked up the 25th last-place finish of his NASCAR Sprint Cup Series career in Sunday’s Subway Fresh Fit 500 at the Phoenix International Raceway when his unsponsored #87 NEMCO Motorsports Toyota fell out with electrical problems after completing 22 of the race’s 312 laps. Last week, Nemechek’s #87 was the fastest Toyota in the Daytona 500's prestigious qualifying session - 21st overall - and had secured sufficient sponsorship from AM/FM Energy to run the entire race. Unfortunately, he was one of the unlucky drivers involved in the grinding multi-car accident on Lap 29, leaving him with a 39th-place finish. Without sponsorship at Phoenix, Nemechek was unable to run all 312 laps. He qualified 32nd for the race at a speed of 134.933 mph, more than enough to bump Brian Keselowski’s own unsponsored machine out of the race, and ran up to the first debris caution on Lap 21 before he pulled behind the wall. *With the finish, Nemechek is one finish away from tying Derrike Cope for the second-most last-place finishes in NASCAR Sprint Cup history. By scoring one more last-place finish, he will also tie the late J.D. McDuffie for the third-most all time (32). *Nemechek’s most recent Cup last-place finish came last year in the 2010 AAA Texas 500 at the Texas Motor Speedway, where his unsponsored #87 retired with engine woes after 12 laps. It was his 7th last-place finish of the 2010 Cup season, part of his second LASTCAR Cup Driver’s Championship. *Neither Nemechek, nor a car #87, had ever before finished last in a Cup race at Phoenix. Daytona 500 last-place finisher J.J. Yeley welcomed back returning sponsor AAMCO Transmissions from SpeedWeeks and was ready to race in front of his home-state fans in Arizona. Unfortunately, Yeley was forced to make several green-flag stops where the crew worked under the hood until an electrical failure took his #46 out of the race after 72 laps. He finished 37th. Justin Marks picked up the 2nd last-place finish of his NASCAR Nationwide Series career in Saturday’s Bashas’ Supermarkets 200 at the Phoenix International Raceway when his unsponsored #27 Baker Curb Racing Ford fell out with brake problems after completing 7 of the race’s 200 laps. Marks qualified 36th at a speed of 124.236 mph, but was guaranteed a spot in the race as only 40 cars entered the race. It was the series’ first short field since the 42-car 2008 Stater Brothers 300 at the Auto Club Speedway of Southern California. In the race itself, Marks was the first to go behind the wall during the opening green-flag run. All of the Bottom Five finishers fell out within the first 19 laps. *Ford had not finished last in back-to-back Nationwide races since 2004, when Mark Green and Jimmy Kitchens finished 43rd in Jay Robinson’s #28 Fords in the Funai 250 at Richmond and the final Nationwide race at Nazareth, the Gould’s Pumps / ITT Industries 200. *For Marks and Baker-Curb Racing, their most recent last-place finishes all came last season. Driver and team’s came last summer in the 2010 Napa Auto Parts 200 at Montreal’s Circuit Gilles Villeneuve. Marks’ rear gear failed on his #43 Future Electronics Ford during the opening lap. 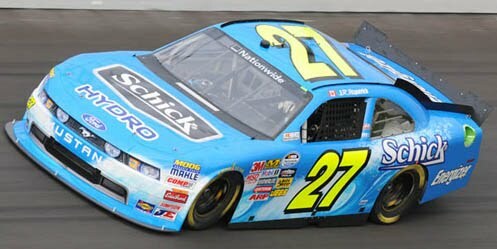 *It was the first last-place finish for the #27 in Nationwide since the 2010 Subway Jalapeno 250 at Daytona, the first race for the series’ new-model car. That night, driver Jennifer Jo Cobb’s #27 DriverBoutique.com Ford was involved in a two-car accident with her then-teammate Johnny Chapman at Baker-Curb Racing. *The #27 had never before finished last in a Nationwide race at Phoenix. *It was just the 4th time in 19 total races that Ford finished last in a Nationwide Series race at Phoenix. Daytona last-place finisher Kelly Bires and his #25 finished 38th in Saturday’s race, followed seven laps later by fellow Ed Rensi driver Kevin Lepage’s #24 to the garage area. Travis Kvapil picked up the 1st last-place finish of his NASCAR Camping World Truck Series career in Friday’s Lucas Oil 150 at the Phoenix International Raceway when his #5 International Truck / Monaco RVs Toyota was involved in a single-truck accident after completing 99 of the race’s 150 laps. For Kvapil, the 2003 series champion, the finish came in his 134th series start. Kvapil struggled tremendously during Daytona SpeedWeeks, having crashed out of both the Truck Series opener and the Daytona 500. Still, after Steve Wallace and the #77 team chose not to run at Phoenix after the team’s 20th-place finish in the Daytona 500, Kvapil no longer had to worry about qualifying: he was now locked-into both the Truck and Cup races based on Owner Points. In qualifying for the Truck race, Kvapil had to rely on these points as his 125.056 mph lap was only good enough for 33rd on the grid. The poor performance in qualifying forced the Randy Moss-owned team to make post-qualifying adjustments for an impound race, forcing Kvapil to start in the rear of the field. While fighting to keep up the pace on Lap 59, he cut a tire and spun in turn two, bringing out the second caution of the race. Now down a lap to the leaders, Kvapil’s night took a turn for the worse on Lap 102 with a crash in turn three. *The #5 had not finished last in a Truck Series race since 1997, when Robbie Pyle’s Central Fastener Dodge lost its transmission 13 laps into the 1997 Link-Belt Construction Equipment 225 at Louisville. *Kvapil has two other last-place finishes in NASCAR competition, but both of them came in the NASCAR Sprint Cup Series: an engine failure 13 laps into the 2005 USG Sheetrock 400 at Chicagoland while driving Doug Bawel’s #77 Kodak Dodge and a brake failure on Bob Jenkins’ #37 Long John Silver’s Dodge 30 laps into the 2009 Tums Fast Relief 500 at Martinsville. Daytona last-place finisher Norm Benning finished 27th on Friday, still under power and just five laps down to race winner Kyle Busch. J.J. Yeley picked up the 3rd last-place finish of his NASCAR Sprint Cup Series career in Sunday’s 53rd Annual Daytona 500 at the Daytona International Speedway when his #46 AAMCO Transmissions / Red Line Oil Chevrolet lost its engine after completing 22 of the race’s 208 laps. In 2010, Yeley returned from injuries suffered in a dirt track race to take over departing driver Terry Cook’s driving duties in Whitney Motorsports’ #46. When Yeley joined the team in May, Cook and team had qualified for just three of the season’s first ten races. Cook nearly raced his way into the Daytona 500 that year, but was knocked-out by a mid-race spin while running near the Final Transfer Spot. Despite a continued lack of sponsorship, Yeley helped turn the team around, qualifying on speed for his first eight consecutive races with Whitney. The highlight of the season came in his return trip to Daytona in July, where he finished a season-best 19th. As the summer of 2010 ended, however, Yeley’s qualifying performances faltered, resulting in a string of DNQs. In September, Whitney replaced Yeley with Michael McDowell and changed manufacturers from Chevrolet to Dodge. Yeley eventually rejoined the team to run the team’s old Dodges, numbered #81, and qualified them into two more races at Dover and Martinsville. After McDowell himself struggled in the final weeks of the season, Yeley re-signed with the team to run its #46 Chevrolet at Daytona. Last week, Yeley struggled in Sunday’s qualifying session, forcing him to race his way into the Daytona 500 field from the next-to-last starting spot in the 24-car Race 1 of the Gatorade Duels. For much of that race on Thursday, Kevin Conway held the Final Transfer Spot with drafting help from teammate and defending LASTCAR Cup Driver’s Champion Joe Nemechek. Without a teammate of his own, Yeley lost a lap in the closing stages, but scored the final Lucky Dog of the afternoon when, curiously, Michael McDowell blew his engine in HP Racing’s #66 Toyota (a team that was formerly LASTCAR 2010 Owner’s Champion runner-ups PRISM Motorsports). This allowed Yeley to pit for fresh tires and fuel for the final green-white-checkered finish. In those final two laps, Yeley muscled his way past Conway and Nemechek, fighting to break their two-car draft and bump his way in. The effort succeeded, much to Nemechek’s dismay, as Yeley finished one spot ahead of Conway in 17th. All this was done with an engine the team acquired just two weeks before the Duels. Having raced his way into the 33rd spot of the Daytona 500 field, Yeley acquired additional sponsorship from both AAMCO Transmissions and returning sponsor Red Line Oil, who funded McDowell’s late-season run for Whitney in 2010. Prior to that, the #46 carried only limited sponsorship from Red Line Oil in qualifying and a little more from International Trucking, another 2010 sponsor, in the Duels. Now with sufficient funding to run the entire race on Sunday, Yeley was ready to race and build on his 19th-place finish there the previous July. Unfortunately, the run did not last long. On Lap 11, while running in the middle of a thick knot of traffic on the backstretch, Yeley’s #46 suddenly erupted in smoke as the engine let go, bringing out the second caution of the race. No other car was involved in the incident, and the damage sustained to the engine proved terminal. Just over ten laps later, Kevin Harvick’s engine exploded off turn two, ultimately ending his race with a 42nd-place finish. Yeley’s engine failure was all that kept Harvick from scoring his first last-place finish in any of his combined 730 Cup, Nationwide, and Truck Series starts. *This was Yeley’s first last-place finish in Cup since last fall at Charlotte, where he fell out with ignition problems after 73 laps while driving owner Tommy Baldwin’s #36 Chevrolet in the 2010 Bank of America 500. *Dusty Whitney’s #46 most recently finished last in last fall’s Sylvania 300 at New Hampshire, where Michael McDowell fell out with engine failure after 29 laps. *This was the first time the #46 had finished last in the Daytona 500 since the 1997 running, where Wally Dallenbach, Jr.’s First Union Chevrolet lost the engine after 32 laps. *Chevrolet has now finished last in 16 of 53 Daytona 500s. The late Coo Coo Marlin’s 1965 Chevy #04 was the first in 1967. Defending LASTCAR Driver’s Champion Joe Nemechek was locked-into Sunday’s field on his qualifying speed for the second time in as many years, granting him the 41st starting spot. 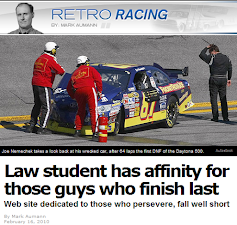 Though Nemechek, like Yeley, had acquired full sponsorship to run the entire race, his luck was equally terrible. Trapped in the high groove when the massive Lap 29 wreck unfolded in Turn 3, Nemechek’s #87 was left severely damaged, leaving him 39th in the running order. Norm Benning picked up the 4th last-place finish of his NASCAR Camping World Truck Series career in Friday night’s NextEra Energy Resources 250 at the Daytona International Speedway when his unsponsored #57 Norm Benning Racing Chevrolet fell out with an engine failure after completing 22 of the race’s 103 laps. For the third straight year, Benning attempted to qualify for both the Sprint Cup and Truck Series openers at Daytona. However, since he was unable to participate in any of the first four Cup practice sessions, he was forced to withdraw his #57 Chevrolet. This turned the ARCA veteran’s attention to Friday’s truck race. 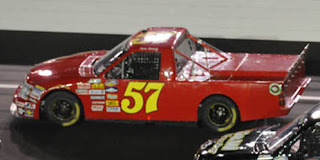 Benning and his #57 truck qualified 32nd in the 36-truck field at a speed of 169.952 mph, having been locked-into the field based on his ranking in 2010's final Owner Points. Unfortunately, during the race itself, Benning was forced to make several green flag stops in the opening 22 laps before he finally pulled behind the wall for good with engine trouble. 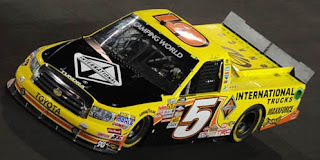 *The race marked Benning’s first last-place finish in the Truck Series in nearly two years, dating back to when his #57 Germaine Tooling Group Chevrolet fell out of the 2009 WinStar World Casino 400 at Texas after three laps due to handling woes. 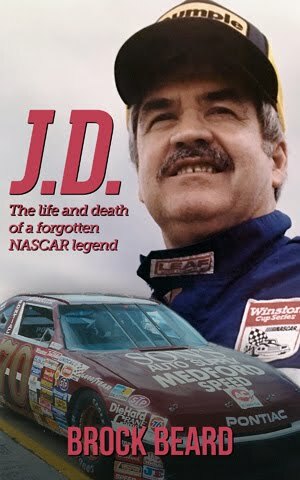 *Neither Benning, nor the #57, had ever finished last in a Truck Series race at Daytona. *It was Chevrolet’s seventh last-place finish in the Truck Series race at Daytona and second in a row. A Chevrolet truck has still yet to win at the track. 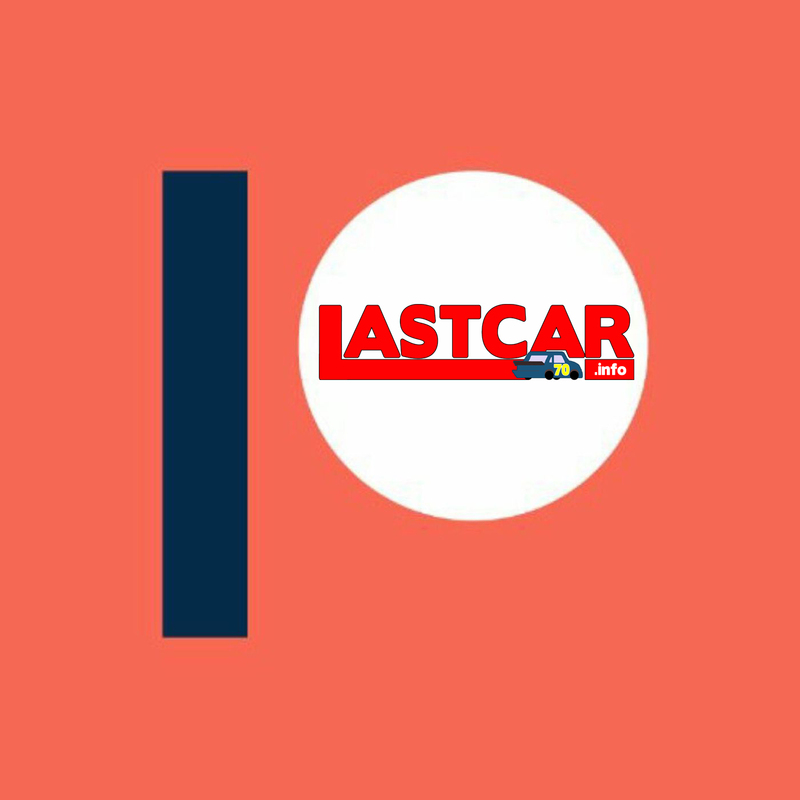 Benning has never before claimed a LASTCAR series title in any of NASCAR’s top three divisions. Defending LASTCAR Truck Series Driver’s Champion Mike Garvey did not enter Friday’s race. Defending LASTCAR Owner’s Champion Shane Sieg’s two trucks both qualified for Friday’s race with Ryan Sieg in the #39 and Cole Whitt in the #93 that claimed the title with Mike Garvey aboard. Sieg finished 25th with battery problems while Whitt enjoyed a solid 14th-place finish. Team Gill Racing, second in last year’s LASTCAR Owner’s Championship, did not enter a truck in Friday’s race. Casey Mears finished last in Thursday’s Gatorade Duel Race 2 at the Daytona International Speedway when his #13 GEICO Toyota lost the engine after 2 of the race’s 60 laps. The journeyman driver signed on with Germain Racing’s #13 team last summer to replace Max Papis, who turned his focus to the Camping World Truck Series. 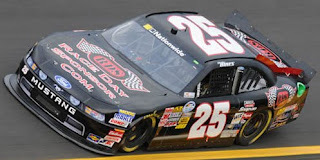 Mears had started the 2010 season with Keyed-Up Motorsports, a start-up team with which he narrowly missed the field for the Daytona 500 after a competitive run. Four more DNQs later, Mears and Keyed-Up separated, and he spent the rest of the year between Tommy Baldwin Racing, Team Red Bull, and as a standby relief driver for an injured Denny Hamlin. With Germain Racing, Mears found needed stability and authored some steady runs in the final part of the season with a season-best finish of 21st at Richmond in September. Though the team remained outside the Top 35 and would thus have to race into the Daytona 500, Mears was ready to make his first 500 start in two years. Unfortunately, Mears’ optimism was short-lived. A blown engine in the late stages of Wednesday’s final practice before the Duels left the team scrambling to make a quick engine change. Unable to make the change in time, Mears would not only have to surrender his 17th starting spot and start in the rear for Thursday’s qualifier, but would have to do so with an engine that hadn’t seen a lap on the racetrack. The results proved disastrous: just two laps into the race, Mears’ backup engine exploded on the backstretch in a huge plume of smoke. 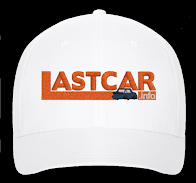 Mears was visibly dejected, sitting on the edge of the driver’s side window after he climbed out in the garage. It was his second-straight DNQ for the Daytona 500. *This marked the third time the #13 had finished last in either of the Gatorade Duels. Curtis Turner was the first when he quit one lap into 1967's Race 1 and, most recently, Greg Sacks’ Dodge crashed two laps into 2005's Gatorade Duel Race 2. *Mears’ was just the second Toyota to finish last in a Gatorade Duel, joining Jeff Fuller, whose #97 FrontRowJoe.com Toyota was the first to fall out of last February’s Race 1. *It was Mears’ first-ever last-place finish in the Gatorade Duels. He has three other last-place finishes in NASCAR points races. David Gilliland finished last in Thursday’s Gatorade Duel Race 1 at the Daytona International Speedway when his #34 Taco Bell Ford fell out with electrical problems after completing 40 of the race’s 62 laps. Gilliland, the 2007 Daytona 500 polesitter, started 21st in the 150-mile qualifier, but was already locked-into the Daytona 500 field based on 2010 Owner Points. Gilliland and his Front Row Motorsports teammates switched rides on several occasions last year, allowing for two of the FRM teams (#34, #37) to finish in the Top 35. Once Travis Kvapil’s #38 became the third-fastest car in Sunday’s qualifying, locking him in on speed, this meant all three teams were guaranteed starting spots in the 500 for the second straight year. However, in the 24-car qualifying race itself, Gilliland was the only Front Row car in the field; Kvapil and Richardson ran in Race 2. Without a drafting partner as the two-car draft strategy reigned supreme, Gilliland remained near the back of the field for most of the race. Then, near the two-thirds mark, a faulty spark plug forced him to make an unscheduled stop under green. With so little of the race to go, the decision was made to park the car for the rest of the event. Gilliland will start 39th in Sunday’s Daytona 500. *It was the first last-place finish in the Gatorade Duels for David Gilliland, Front Row Motorsports, and the #34. Gilliland has five other last-place finishes in NASCAR points races. *Gilliland’s was the 27th Ford to finish last in a Gatorade Duel. Kasey Kahne finished last in Saturday night’s Budweiser Shootout at the Daytona International Speedway when his #4 Red Bull Toyota lost the engine after completing 7 of the race’s 75 laps. Kahne had achieved modest success in Team Red Bull’s Toyotas last fall, running the last five races in relief of Brian Vickers and scoring the pole at Homestead. Vickers returned as Kahne’s teammate this year and, in preseason testing, the two were among the fastest to speed around Daytona’s new pavement. On Friday night, Kahne drew the 5th starting spot in the 24-car field, giving the Washington driver excellent track position. Just two laps into the race, he vaulted to the lead with an assist from Clint Bowyer in a swift two-car draft. Still among the leaders seven laps into the race, Kahne’s Toyota suddenly sputtered on the backstretch and coasted onto pit road. The crew looked under the hood, then pushed car #4 behind the wall. Besides Kahne, nine other drivers retired from the race, all from the result of accidents. Three-time LASTCAR Cup Champion Derrike Cope, who finished last in the 2010 Shootout, finished two laps down in 14th as the final car to cross the finish line. *Prior to Saturday, Kahne had never finished last in a single NASCAR Sprint Cup, Nationwide, or Truck Series race, including non-points races such as the Shootout. *The #4 had never before finished last in the Shootout. *Kahne is only the second Toyota driver to finish last in the Shootout, joining Joey Logano’s 28th-place finish in the 2009 running.